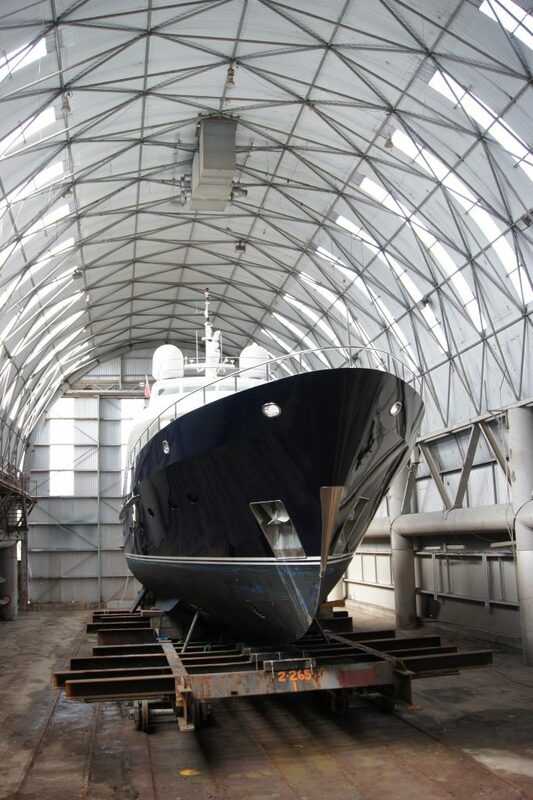 The arrival of a 27 metre superyacht for extensive paint repairs marks the start of a very busy period at Oceania Marine’s North Shipyard located in Port Whangarei, New Zealand. The project will be undertaken utilising the specialised paint/refit facility, Shed A, which is located at the head of the 800 tonne slipway. 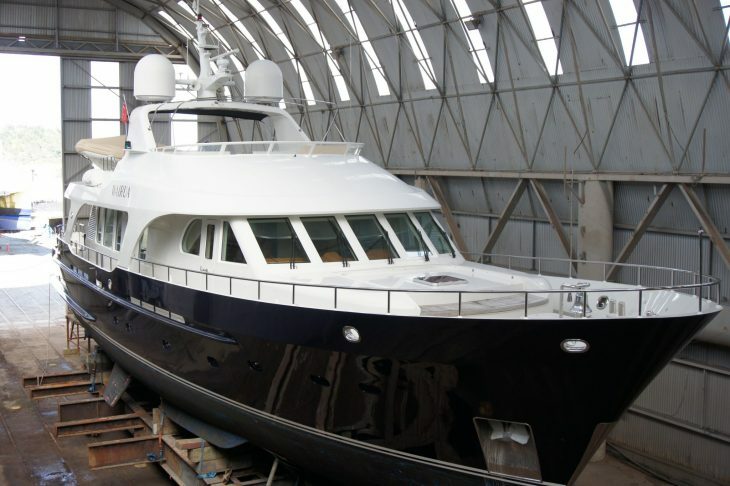 Meanwhile, outside Shed A on the hardstand two 35 metre projects are about to start. The shipyard project managers are marshaling the resources to service the required works which will include internal and external work teams and suppliers, testament to the depth of capability that the marine hub at Port Whangarei has.